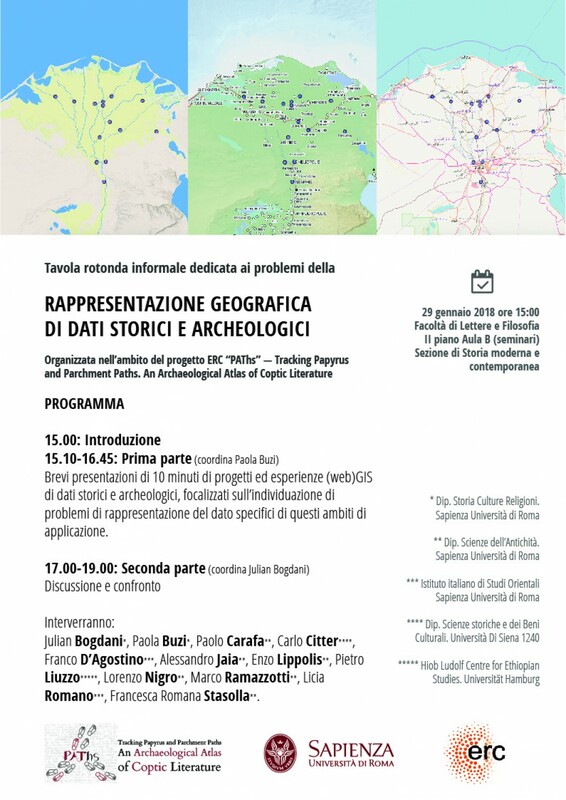 On January 29th, 2018 PAThs team will organize a round table on the topic of “Geographic Representation of Historical and Archaeological Data”. 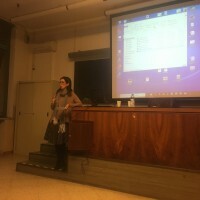 Short (max. 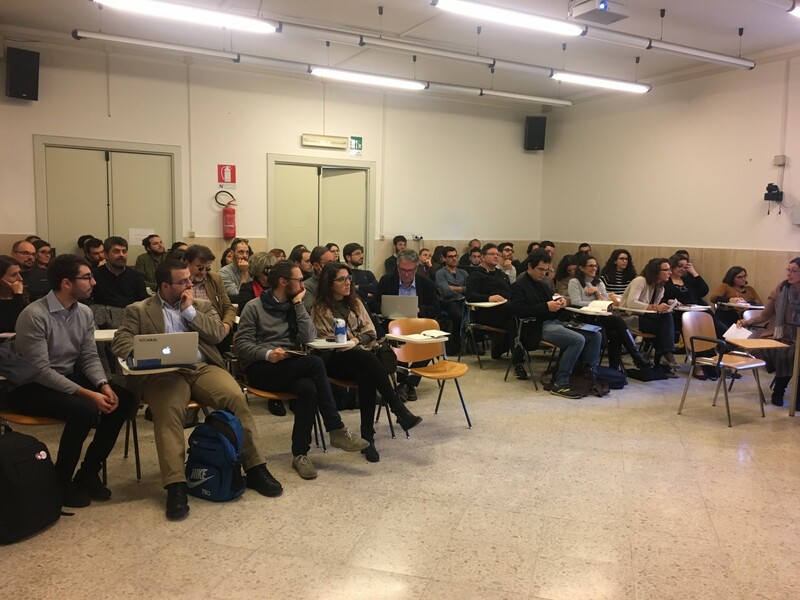 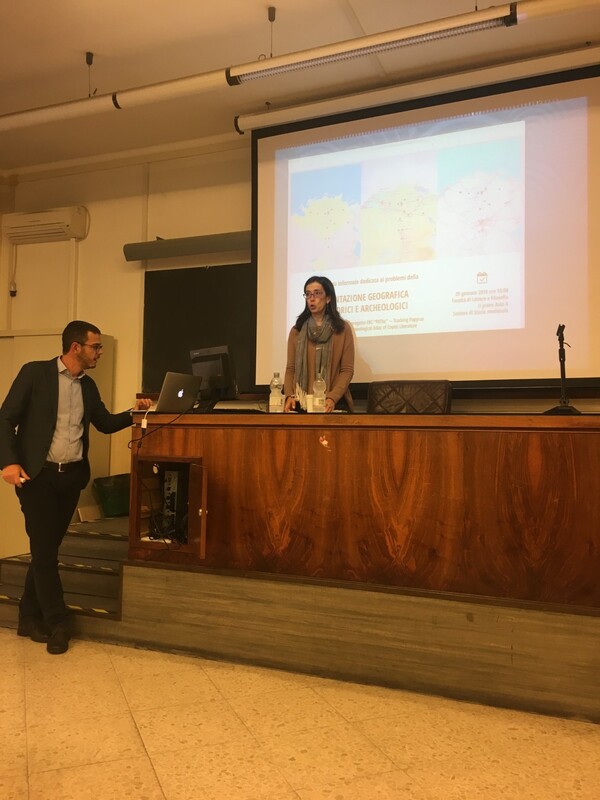 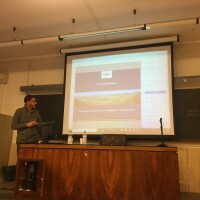 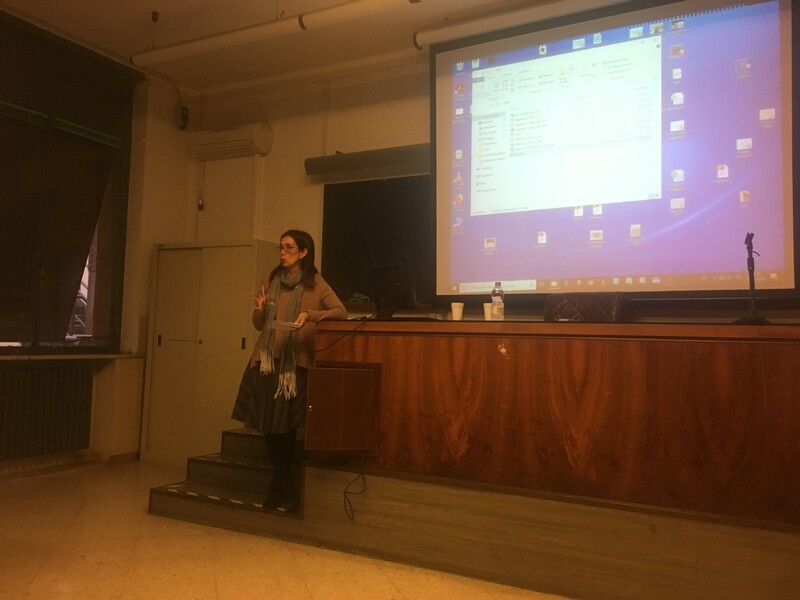 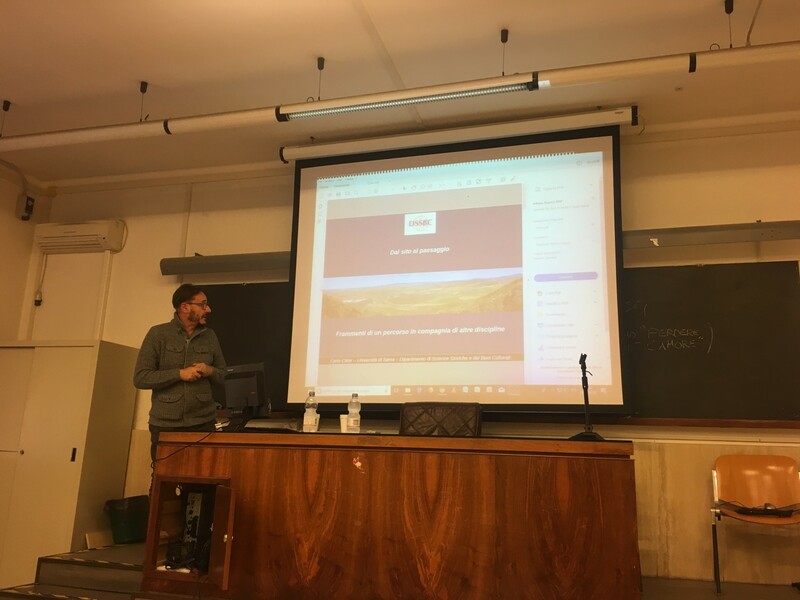 10’) presentations of projects and experiences of (web)GIS applications on historical and archaeological data, focused on theoretical and practical problems and issues encountered. 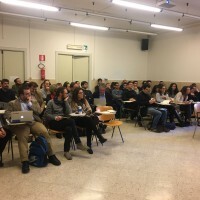 Participants: Julian Bogdani, Paola Buzi, Paolo Carafa, Carlo Citter, Franco D’Agostino, Alessandro Jaia, Enzo Lippolis, Pietro Liuzzo, Lorenzo Nigro, Marco Ramazzotti, Licia Romano, Francesca Romana Stasolla. 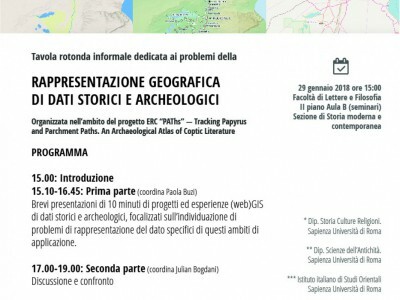 The round table will be held at the Aula A Sezione di Storia medievale, Facoltà di Lettere e Filosofia II piano. 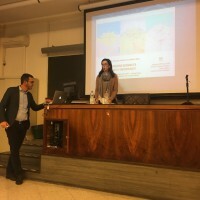 Piazzale Aldo Moro, 5 Rome.